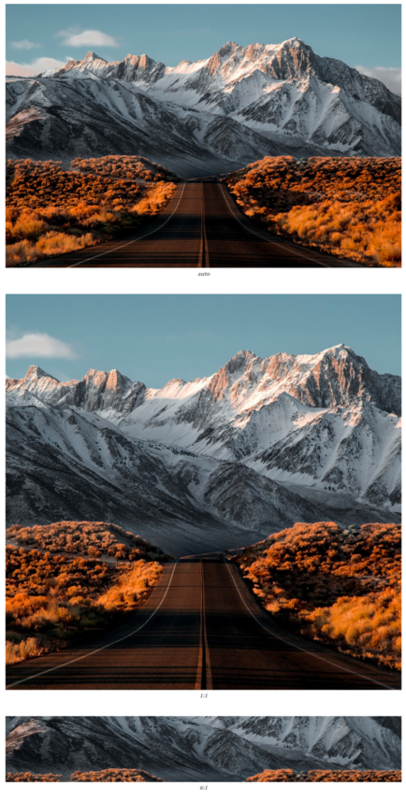 An Image Section allows you to insert a full-width image. Additional columns can be added for a side-by-side tiling effect on the web (stacking effect on mobile). 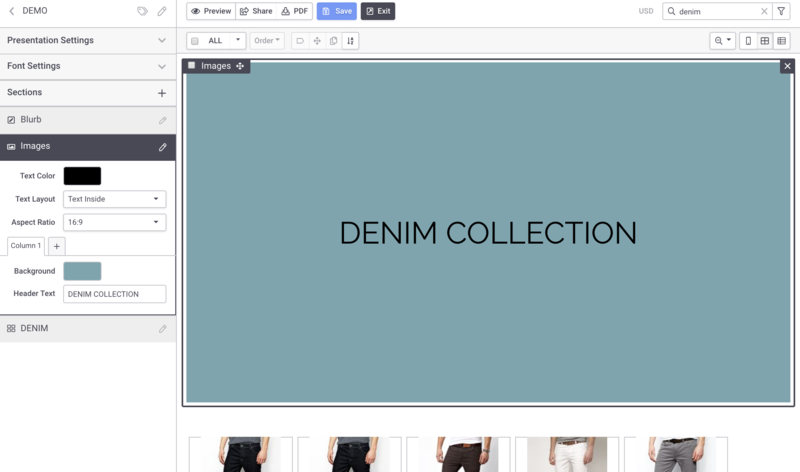 In the Sections menu, add an Image Text section into your presentation and configure the Settings in the expanded menu. The Aspect Ratio will determine how the image is cropped. Below you will see examples of auto, 1:1, and 6:1.